The advent of GPS technology fundamentally changed how people move from one place to another. Now that we have a way to determine exactly where we are, and the best route to get where we are going, everyone is looking for the best GPS for their needs. The GPS unit is almost a standard unit in the automobile of today, so that's where we'll start. Just twenty years ago, if you wanted to know how to get somewhere on the road, you either needed to unfold an unwieldy map or stop at a local gas station and ask for help. Thank goodness for the automotive GPS! Now, men no longer have to swallow their pride and stop for directons. Yet, automobiles aren’t the only vehicles on the road, and GPS manufacturers haven't missed a beat in marketing their units to the motorcycle niche. 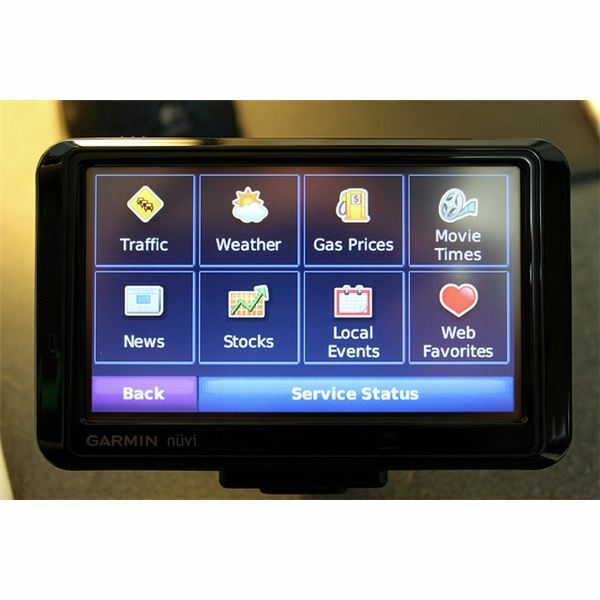 We’ve collected reviews of the best car and motorcycle GPS units so that you don’t have to muscle through the immense pile of outdated units still available. These are the best of the best – the units that will get you where you are going faster and safer than ever. Keeping track of the family has never been easier. Since the advent of real-time GPS tracking, it is possible to immediately locate any family member, including the family pet, with a few simple keystrokes. These units can be used to keep tabs on teenagers out with the car for the first time, or an adventurous dog that just can't resist the lure of an enticing smell. There are several units available, but they are not created equal. We've weeded through the muck that is real-time GPS tracking to bring you the units that are worth a second look. Nothing can give a mother more piece of mind than having eyes in the back of her head, so she can keep track of her children all of the time. Since we haven't quite figured out how to do this, we've got the next best thing – GPS units designed specifically for younger children. Whether it's a special kid-friendly phone with a built-in GPS unit (to keep both mom and child happy), or a bracelet that doesn't even look like a tracking device, we show you only the best. Which of these choices is best for you? Peruse our staff picks for the best GPS units for kids and give yourself (or your wife) the gift of peace of mind this holiday season. How to Track Your Children Via GPS? Hunters and golfers have one major thing in common – they need to know how far away something is (either the prey or the pin). Specialty units exist for just this purpose, and we have them covered here. Our writers have taken the time to compile the best units for the serious golfer and the avid hunter. While they may not be interchangeable, these units will appeal to the recreational sportsman. Don't buy your unit without checking out our professional reviews. What are the Best GPS Units for the Serious Golfer? GPS units are a major boon for the fisherman and recreational boater. Several units offer real-time updates which include underwater hazards, the number two cause of boating accidents. Most of the units that we have reviewed offer map collections, although they are varied in both scope and region. Finding the right boating GPS is much harder than finding one for an automobile, for this reason. Be sure to check out the map features in each of our reviews, so you are sure to get a unit that comes with the maps you need. (Of course, you can always buy more maps – but wouldn't you rather get them for free?). Whether you are interested in a handheld portable device, or a mounted fishfinder GPS combo, we have the unit for you. Check out the pros and cons of each in our Bright Hub Marine GPS reviews. Are you a hiker, biker, geocacher or extreme whitewater enthusiast? If you answered "yes," then these are the GPS units you should be looking at. These are the most rugged, budget friendly, reliable units for those of us who prefer to stray from the beaten path. We have reviews of the best Garmin GPS watches, the Spot GPS unit and the very best in geocaching. Before heading out in the wild, take the time to find the best GPS unit for you. Whether you need an emergency beacon, or a unit that can get you to the nearest hotel, we've got what you're looking for. Maybe you are a jack of all trades, and need a GPS that can keep up with you no matter what you want to do. We have pared down the units that you're most likely to see on store shelves to the very best all-around units. These devices won't let you down – no matter where you plan to go. If you didn't find the right unit in the above sections, chances are it is right here. What are the Best GPS Devices? Which Unit Do You Use? Do you already own one of these GPS units? Do you agree with our assessment, or did we miss something? Give us a shout out through Disqus, and let us know if we got it right. If you don't already have a GPS unit, hopefully you've found the best GPS for your lifestyle somewhere in our list. Is there a unit out there that you'd like to see reviewed? If so drop us a line and we'll check it out. Until then, may you always know where you're going, and never have trouble getting there. Image courtesy of Chase N. on Flickr under Creative Commons License 2.0.